For other uses, see Richard Bright. Richard James Bright (June 28, 1937 – February 18, 2006) was an American actor well known for his role as Al Neri in the Godfather films. Bright was born in Bay Ridge, Brooklyn, New York City, the son of Matilda (née Scott) and Ernest Bright, who was a shipbuilder. Bright began his career doing live television in Manhattan at the age of 18 and made his film debut in Robert Wise's Odds Against Tomorrow (1959). He also worked on several movies early in his career with his friend Sam Peckinpah. In 1965, Bright starred in poet Michael McClure's two-person show, The Beard, performing in first in San Francisco and later in Los Angeles, New York City, and London. In San Francisco, he and his female co-star, Billie Dixon, were arrested for uttering obscenities and simulating sexual acts. The ACLU represented Bright, citing First Amendment rights to freedom of speech. In the end, the charges against Bright were dismissed; the case was considered important for free speech in general and actors' rights in particular. He had supporting parts in The Getaway (1972) (as a con man who tries to ply his trade on Ali MacGraw) and costarred in The Panic in Needle Park (1971), playing Al Pacino's brother Hank. In 1972, he appeared in Francis Ford Coppola's adaptation of The Godfather as Al Neri, Michael Corleone (Al Pacino)'s primary enforcer and bodyguard. Michael, as the don of the Corleone Family, implements a security detail that keeps Neri and Rocco Lampone close by at all times. A deleted scene from The Godfather shows former consiglieri and family attorney Tom Hagen reviewing the payroll ledgers and finding both Neri and Lampone being paid much more than their nominal jobs are worth. It is soon revealed that both are, in fact, assassins Michael has doubling as bodyguards. In the book, Neri's character is a former New York City police officer who is hung out to dry by the department after killing a sadistic pimp. Michael uses Corleone family influence to get him off the hook and draws Neri into his service. At the end of the first film, Neri, dressed as a police officer, murders rival mob boss Emilio Barzini and his henchmen during the film's famous baptism scene. Also, the last faces to be seen in The Godfather are Bright's and Diane Keaton's, as he closes Michael's office door in her face. Bright also played Neri in both sequels, becoming one of five actors to appear in all three Godfather films; his character murdered both Fredo Corleone (John Cazale) at the end of The Godfather Part II and the Vatican banker Archbishop Gilday at the end of The Godfather Part III. Bright played another hired killer, Chicken Joe, in Sergio Leone's gangster epic Once Upon a Time in America (1984). Other roles include Pat Garrett and Billy the Kid (1973), Rancho Deluxe (1975), Marathon Man (1976), Looking for Mr. Goodbar (1977), the film adaptation of Hair (1979), Red Heat (1988), and Beautiful Girls (1996). In 1993, he had a recurring role on One Life to Live as "Moose" Mulligan, rival and former underboss to longtime arch-villain and crime lord Carlo Hesser. Bright continued to make a number of both commercial and independent films, such as Jaded (1998). He also continued working on stage and in television, appearing on such shows as Law & Order, Oz, Third Watch, and The Sopranos. These later performances showed Bright using an oxygen tank in all these appearances (although he suffered from emphysema, the tanks were props for the characters). Bright was struck and killed by the driver of a tour bus on the Upper West Side in Manhattan on February 18, 2006. He was hit by the rear wheel of the bus and pronounced dead on arrival at Roosevelt Hospital. The driver claimed to have been unaware of the collision until he was notified upon reaching the Port Authority in midtown Manhattan, where he was interviewed by police. Ultimately, no criminal charges were filed, though the bus driver's license was suspended for failing to yield the right of way to Bright, who had been in a marked crosswalk with the walk sign on at the time he was struck. Bright was 68 years old at that time. He was survived by his wife, Rutanya Alda, son Jeremy, daughter Diane, and brother Charles. ^ a b c Sisario, Ben (February 20, 2006). "Richard Bright, 68, an Actor in the 'Godfather' Movie Series, Dies". The New York Times. Retrieved October 24, 2015. ^ a b Associated Press (February 20, 2006). "Richard Bright, 68; acted in 'Godfather,' 'Sopranos'". The Boston Globe. New York. Archived from the original on October 18, 2014. Retrieved October 24, 2015. ^ "Richard Bright Biography". Filmreference.com. Archived from the original on April 15, 2015. Retrieved October 24, 2015. ^ Taylor, Frank (March 1, 1968). "'Beard': Curse for Censor, Kiss for Cast". The Van Nuys News. Van Nuys, California. p. 24. Retrieved November 25, 2015 – via Newspapers.com. ^ Associated Press (February 20, 2006). 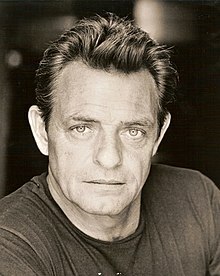 "Actor Richard Bright, 68; Was in 'Godfather' Films". The Washington Post. Retrieved November 1, 2015. ^ "Richard Bright, 68; Character Actor Was in All 3 `Godfather' Films". Los Angeles Times. February 20, 2006. Retrieved 5 November 2015. ^ Grossberg, Josh (February 22, 2006). ""Godfather" Actor Richard Bright Killed". E!. Retrieved November 26, 2015.